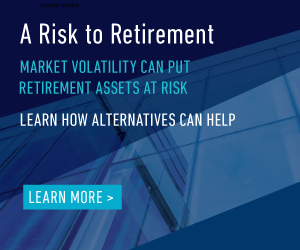 Alternatives can offer differentiated returns and an opportunity to outperform traditional assets when investors need it most. Source: Morningstar. Data from 12/31/1996-12/31/2018. Challenging periods for stocks and bonds are defined as equity bear markets and rising rate periods. 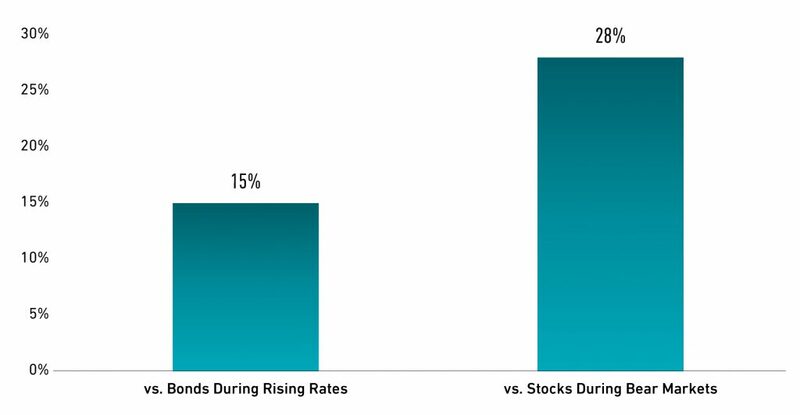 Rising rate periods are the three largest during this time period and bear markets are the two largest during this time period. Alternatives are represented by the Credit Suisse Hedge Fund Index, stocks by the S&P 500 Index, and bonds by the Barclay Aggregate Bond Index. Data reflects average annualized outperformance of alternatives versus bonds during rising rate periods and stocks during bear markets. It is not possible to invest directly in an index.